Refuse Breath Sample Lawyer - Toronto, Ontario. In Canada, It is a criminal offence to intentionally fail or refuse to comply with a demand to provide a police officer with a breath sample for the purpose of assessing the concentration of alcohol in the body of the driver of a motor vehicle. 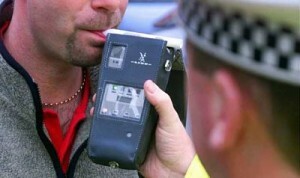 A person charged with refusing a breath sample in Toronto, Ontario may also be charged with impaired driving as well. You can read more information about impaired driving and other drinking and driving offences such as Driving Over 80 by clicking on: DUI Charges Toronto. A. Was a lawful demand made? In defending an allegation of failing or refusing to provide a breath sample, a lawyer must first assess whether the police officer made a lawful demand for the breath sample. If the police officer did not have a good enough reason to request the breath sample, the accused person would be entitled to refuse to provide a sample of his or her breath to the officer. Whether the officer had a good enough reason to make the demand is a fact specific analysis. Each case is different. A lawyer would need to look at all the facts surrounding the demand for a breath sample before concluding whether the officer was entitled to request the sample. For example, if the police officer did not possess a belief that the accused had alcohol in his body at the time the demand was made, he officer would not be permitted to make a demand for a breath sample and the person charged would be found not guilty. If the officer was entitled to make the demand, the lawyer would then go on to assess the reason for the failure or refusal to provide a breath sample by the accused. At this stage of the analysis, the lawyer would determine whether the failure or refusal was intentional or unintentional. A person may unintentionally fail to provide a breath sample due to a number of reasons. If a person unintentionally failed to provide a sample, they are not guilty of the offence, as the charge requires a refusal or an intention to fail to provide the sample. For example the machine receiving the sample of the driver’s breath may not have been operating properly or there may have been an obstruction in the mouthpiece receiving the sample that made providing a suitable sample impossible. Another example of an unintentional failure to provide a breath sample may arise due to a lack of comprehension about the instructions given by the police officer. This lack of comprehension may arise due to the level of intoxication of the person being asked to provide the sample or it may arise due to language barrier between the officer and the accused. Once again, if the person did not understand the instructions given to them about providing a sample, they cannot be found guilty of the offence. One final example of a person unintentionally failing to provide a sample may arise due to a medical condition that prevented the accused from providing a suitable sample to the police officer such as asthma or emphysema. In all of the above examples, if a person unintentionally failed to provide a breath sample, they would not be found guilty of the offence. If an accused person intentionally refused or failed to provide a breath sample, the accused will be found guilty unless they can establish they had a reasonable excuse for failing or refusing the demand for breath samples. (a) Medical grounds. This would involve either a danger to the health of the accused by the performance of the test or as a result of his required attendance for medical treatment during the time period when the police officer wishes to have the test performed. (b) Mental grounds. This would cover the situation in which the accused was so drunk or affected by drugs that he was unable to understand the nature of the demand or the effect of his refusal. (c) Denial or right to consult with counsel in private prior to providing the breath sample. (d) Unreasonable inconvenience. This would cover the situation where the suspected person had to be taken a very long distance for the performance of the test, or where it is unlikely that the test could be validly performed within the time limitations prescribed by law. (e) No reasonable probable grounds for the demand. Unless the police officer has “reasonable and probable grounds” for suspecting that an offence has been committed there is no requirement for the suspected person to take the test. (f) Breathalyzer machine not working. If the suspected person is taken to a machine for the test and that machine is not able to give an accurate reading of the amount of alcohol in the blood of the accused, there would exist no reason for administering the test, and if the police should insist, the suspected person would have a “reasonable excuse” for refusing. Like all DUI charges in Canada, a conviction for refusing to provide a sample of breath pursuant to a lawful demand made by a police officer has a minimum fine of $1000.00 and a mandatory license suspension for a period of at least 12 months for a first time offender. A finding of guilt for refusing a breath sample will also automatically result in a permanent criminal record for a first time offender. What are the consequences of being convicted for failing to provide a breath sample? For individuals without criminal histories, the effect of a a refuse breath sample conviction on their livelihood, freedom, and future opportunities in life can be tremendous. Needless to say, the consequences of being found guilty of failing or refusing to provide a breath sample are significant and long lasting. If you are facing a charge of refusing to provide a breath sample or any other drinking and driving related offence, you should immediately speak with a criminal lawyer to review your case and all available options before making a determination about defending your case or pleading guilty. Daniel Brown has extensive experience defending all types of DUI charges including refusing to provide a breath sample, impaired driving and driving over 80. Contact him at (416) 297-7200 for a consultation.